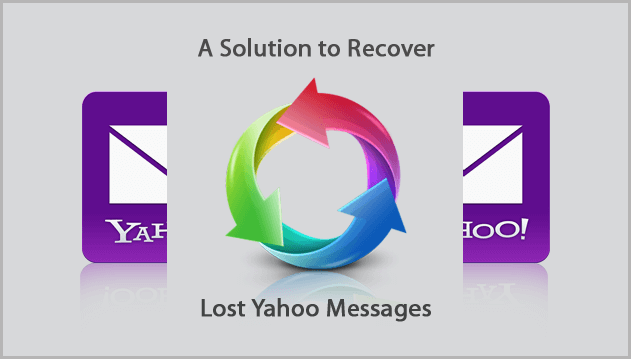 Note: The Software will not Recover Permanently Deleted Emails from Live Yahoo Mail Server. It only save a copy in your hard drive in PST, EML, MSG & MBOX format. With the emergence of the mail services, sending and receiving the messages has become easier. Yahoo is one of the most popular webmail service providers worldwide. Sometimes we come across the problem where our emails are deleted unknowingly or we want the deleted emails to be regained again. To restore deleted email from Yahoo is much easier than to get the hard deleted Yahoo emails. If the mail is unknowingly deleted, the user can find that in the 'Trash'. "Save a Regular Copy of your Yahoo Mail Account and Prevent its Data from being Permanent Loss." Although, there is a possibility to regain permanently deleted mails from Trash, but it is not efficient enough to be relied upon. The problem is that the availability of emails is restricted to a number of days, which once skipped eradicates the messages permanently from the Trash too making it impossible to recover them. However, if proper backup is done then, In future the mails can be gained back. The tool can helps to retrieve mails in any of the formats; PST / MSG / EML / MBOX. Step 1 Login to the software using desired account credentials. Step 2 Choose the required file format to retrieve your deleted Yahoo emails back. Step 3 Select a store location to save the copy of emails using 'Browse' button. Step 4 Apply filters, & specifically you can select the Trash folder to get back the deleted emails & click on "Start" button. Step 5 Click on "Ok" once finished. Q: I permanently deleted my emails even from Trash folder and I need help restoring them? Will the software backup all hard deleted mails? A: No in that scenario, the solution will not help you in restoring all the permanently deleted mails. Thus it is advisabe to save regularly your Yahoo emails in your hard drive. It is better if the process could be repeated weekly. Q: How will the backup be created? A: The software supports four file formats for backup purpose, i.e. PST/MBOX/MSG/EML. Moreover, you can restore deleted email & access it on supported platforms. "Yahoo emails that I had on my account were confidential and thus I couldn't just keep them there vulnerable to cybercrime. However, deleting it was not an option too without having it somewhere else. Thanks to your service, I got a replica and deleted the messages from server!" "The application proved to be a great solution for a user like me in need of something absolutely reliable. I have a backup on my local machine and the same emails on my Yahoo account. Thankfully the availability is always there when I want it."